Original article published by VirtueOnline. 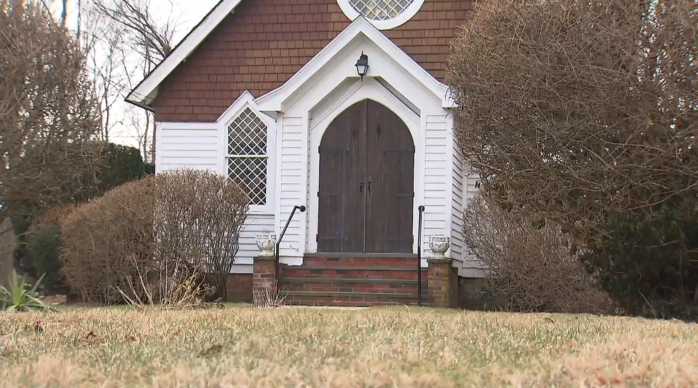 The Episcopal Diocese of Long Island is trying to evict the congregants at St. Matthias Ministries church in Wantagh. The Episcopal Diocese of Long Island is in a court battle to evict congregants of the historically black St. Matthias Ministries church and sell the property in Wantagh. Congregants of the church contend such a sale would sacrifice a century-old piece of the Island’s African-American history. They have countersued to gain title to the property, claiming ownership rights under state law, and arguing they have maintained the site for years without diocese help. Legal experts say the case, to be heard Jan. 6 in State Supreme Court in Mineola, will likely hinge on how the court interprets the 109-year-old deed to the property. While New York State courts don’t referee fights over beliefs or church organization, they can settle property disputes between mother churches and schismatic sects, experts say. The diocese determined that the congregation’s attendance had fallen to 10 members and the church was closed, said diocese spokesman the Rev. Canon Shawn P. Duncan. Now, the diocese is treating parishioners as “a nondenominational congregation [that] gained access to the building,” and are essentially squatting, he said. The diocese also said the church’s ownership claims lack merit, Duncan said, adding Bryant is not a member of the Episcopal clergy. The diocese wants congregants removed and the property sold, Duncan said. He declined to speculate how much the 1.2-acre site on Jerusalem Avenue is worth. It “intends to reinvest any proceeds it might realize as a consequence to support ongoing ministry of the Episcopal Church in the North Bellmore area,” Duncan said. The diocese, which has about 53,000 members in Nassau, Suffolk, Brooklyn and Queens and a parish a mile away on Bellmore Avenue in North Bellmore, also seeks an unspecified amount of damages, court papers state. St. Matthias was a mission of the Episcopal Diocese from 1904 until 2009, when the diocese declared the church closed, citing low attendance, court papers and diocese officials say. Parishioners of the church, led by 80-year member Shirley Jackson-Hardy, formed an independent, nondenominational Christian church and continue to occupy the building. The congregation now has more than 100 members, and Sunday services frequently pack the little church, congregants said. The church’s plight is an example of African-American history on Long Island that has been threatened recently. The Gordon Heights Fire District, which is historically black, is under pressure from residents to close because of high taxes. A Southampton Village board this month rejected a request to demolish the Pyrrhus Concer house, home of a 19th century former slave — a plan opposed by preservationists and black leaders; and superstorm Sandy wiped out the Long Beach Martin Luther King Center, which finally reopened at the end of the summer after an arduous rebuild. St. Matthias, about 1,600 square feet, was built in the early 20th century in what is now a dense suburban neighborhood. Church members say a congregation with lineage to the church has existed since the 1850s. It was an African Methodist Episcopal church before becoming Episcopal in 1904, members said. The church’s first parishioners were black and Native-American residents, and some current churchgoers — including Jackson-Hardy, the 86-year-old church mother — are of mixed ancestry, said attorney McCord. The church also has Hispanic and white members today, said McCord, who has been a parishioner for four years. A fissure between the church and the diocese began in the 1990s, church members said. The members, including Bryant and Jackson-Hardy, said the diocese didn’t do enough to support the church. The diocese declined to comment on the allegations. The congregation received a letter in 2012 telling it to vacate the building, but congregants refused, Bryant said. “They’re not just taking property, they’re taking history from people,” Bryant said.